They say that second time’s the charm, and in case of La Union, it is true! 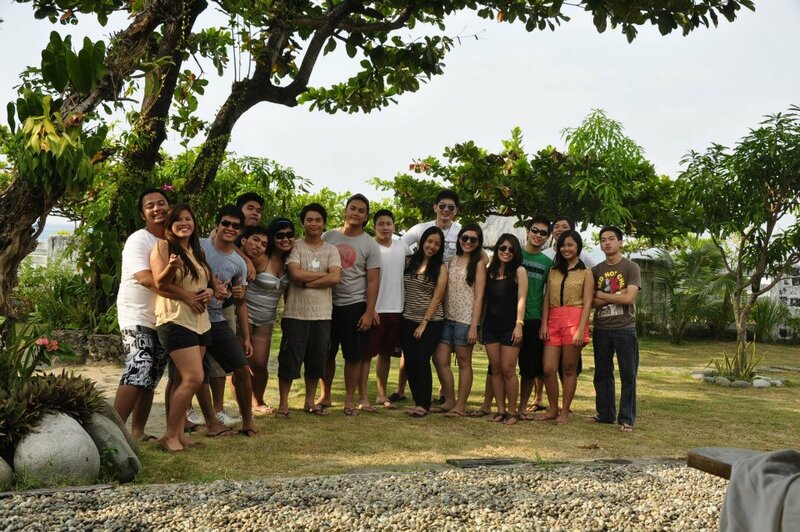 The first time I went to La Union was almost four years ago, during the sem break of my first year in med school. My friends and I stayed at Urbiz Garden Plage, the one featured in I’m Drunk, I Love You (you’ll get this if you’re into Pinoy movies like me hehe). It was a memorable trip since it’s when I first tried surfing. Also, bonfire by the beach never fails. Ever. 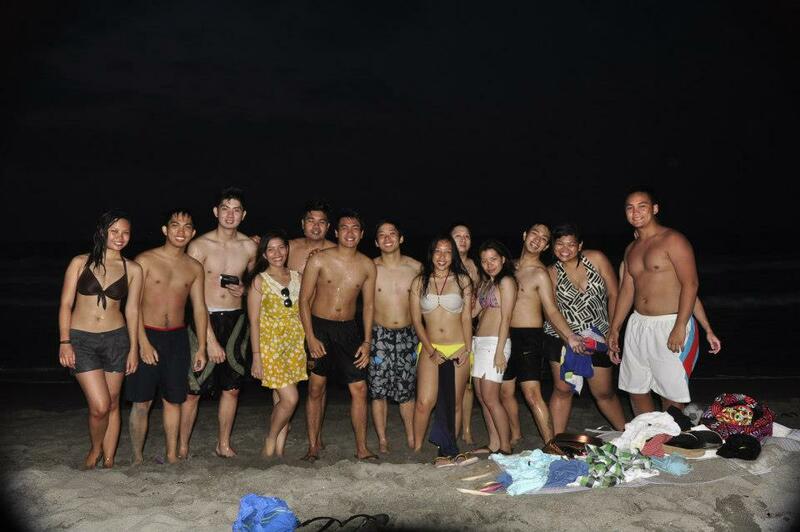 On this travel diary, I’ll share how my friends and I literally just chilled in San Juan, La Union. We left Quezon City at around 4:30PM, picked up my friend’s cousins (hi, Kate and Shelley!) in Tarlac, and arrived at San Juan, La Union at around 10PM. So, yup, it took us a little less than 6 hours to get there. We went straight to Flotsam and Jetsam Hostel after filling our stomachs. What can you do there at night? Drink and meet new friends, of course! The truth is, I only had a glass of mixed drink (inquire about the five-minute drinking challenge) and a shot of hard liquor. It’s fun to not get wasted. Haha! Three of my old friends (Ikey, Hannah, and Arvin) plus our new friend, Chino. If you’re deep and sentimental, you can walk towards the shore, lie down, and hope that the sky is clear so you could see the stars. Trust me, nobody will judge you. By the end of the night, we wanted to grab a bite. However, almost everything’s closed at 2AM so we ended up in Tagpuan again. I ordered beef mami, which was too salty, but I still finished it because I was too hungry. HAHA. We went to Oceana Apartments (a few minutes away from Flotsam) and I slept like an angel. I think we all did. Inside the Oceana Apartments compound. I wish I know what this tree is called. Blogges poses 101: Hold your hat. I look forward to breakfast food and that caffeine rush any time of the day, so imagine how excited I was to try the coffee at El Union! The coffee did not disappoint. I still daydream about the Dirty White iced coffee sometimes. Meanwhile, I really find the pancakes pricey — 160 pesos for 3 medium pieces, with the taste just at par with my favorite pancakes from McDonald’s. I’m not kidding! We tried both the crab and scallop rolls from Great Gamble Seafood Shack, a kiosk beside El Union. Their shop is still under construction on the same compound. The crab roll was more tasty, but it also had a more malansa “fishy” flavor. I should have added a dash of hot sauce and mustard because the sandwiches kind of tasted bland (only in my opinion). To the owner, please don’t kill me if you’re reading this! 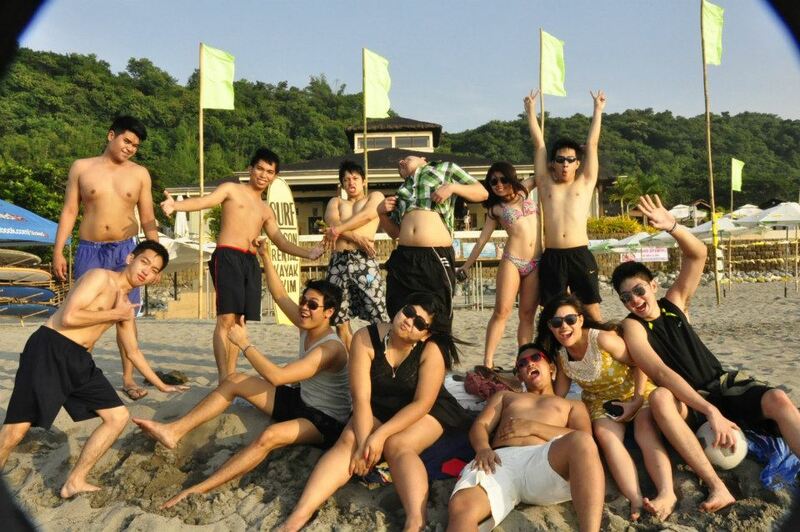 After breakfast, we went to Flotsam and Jetsam to do what we do best, chill! I had red sangria. It was a bit diluted, but still refreshing. I suggest that you try other cocktails, or just order beer. Han ordered pineapple shake. It was good! I recommend eating at Flotsam and Jetsam Hostel. Everything we ordered was good! Of course, I tried the super healthy and yummy Acai Bowl! Doesn’t this set-up just give you the best chill vibe ever??? What I loved about this trip was that when everyone else went to the beach, I was left alone at the hut. Nakapagmuni-muni ako and I had this “Aha!” moment. Di naman siguro necessary na sa beach mo ma-realize yung mga bagay about your life but what made this trip even more memorable was that I kind of had this awakening that made me feel lighter. I did not expect it at all. Thanks, LU, love you! When they came back from the beach, matapos nilang iwan ang mga gamit nila sa akin, I went to take some pictures. People were only starting to arrive for the Labor Day weekend. The beach was not too crowded. Buns for sale: around 30-40 pesos, I think. Masarap! Before leaving LU, we had to try the pizza at Flotsam and Jetsam first. Thanks, LU! It was a great “almost” 24 hours! My friend’s cousin arranged our accommodation at Oceana Apartments. (Thank you, Gio!) It was cheap (2500 for 6 people) but you need a ride to go to the beach and other restaurants. If you haven’t tried surfing, what are you waiting for? This is probably my last trip before I take the physician licensure exam in September. My internship ends in June 30 and I’ll have exactly nine weeks to review three years worth of med school lectures. Food, prayers, and encouraging messages will be highly appreciated! Hope you’ll fall in love with LU as much as I did. If second time’s the charm, I’m excited of how the third time’s going to be. Hi. Great time you have there. Is this your team building? Hi, Kin. Not really a team building activity, but just a quick trip to the beach with friends to unwind from hospital work. Thanks for reading!